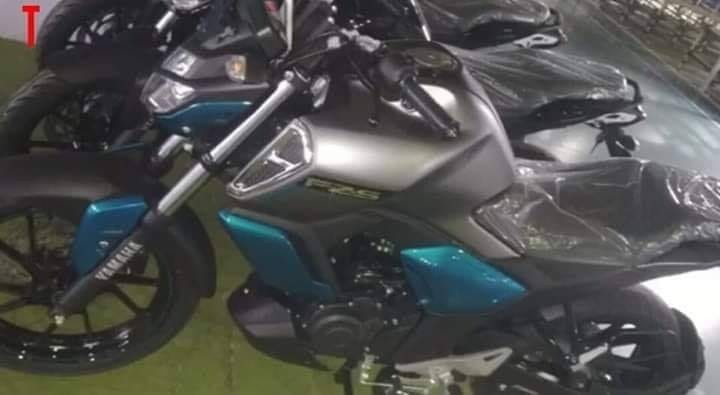 A new Yamaha is scheduled for launch on the 21st of January, 2019. 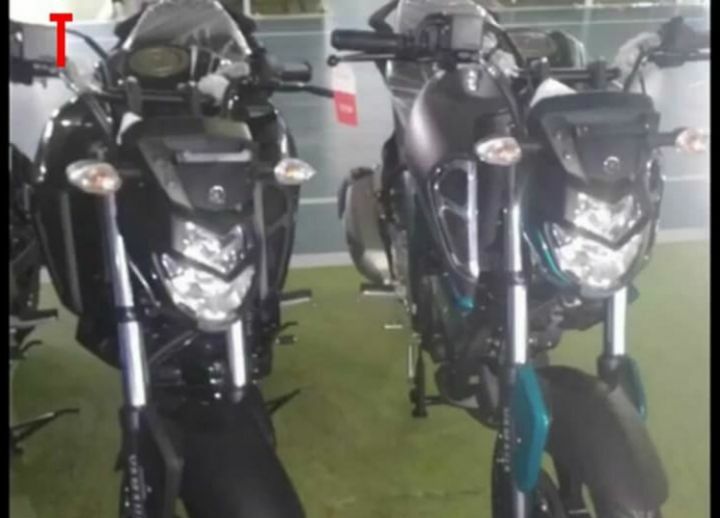 Since the MT-15 has been spied in India too, it could be anybody’s guess if the covers will be taken off from that or the new 2019 Yamaha FZ-S. However, since these spy pictures reveal motorcycles which are ready to be taken to dealerships, we’d like to think it’s the latter. The updated Yamaha FZ-S gets a major change in its fascia and will now feature LED headlights like its elder sibling – the Yamaha FZ 25. Unlike the quarter-litre FZ though, the unit on the FZ-S is split by a body coloured strip in the middle. Compared to the current-gen bike, turn indicators now sit higher on the headlight cowl. The spy pictures reveal two paint options – an all-black and a dual-tone turquoise and grey. The difference between the two being that the dual-tone option gets chrome lining around its new faux air intake on the tank extensions. 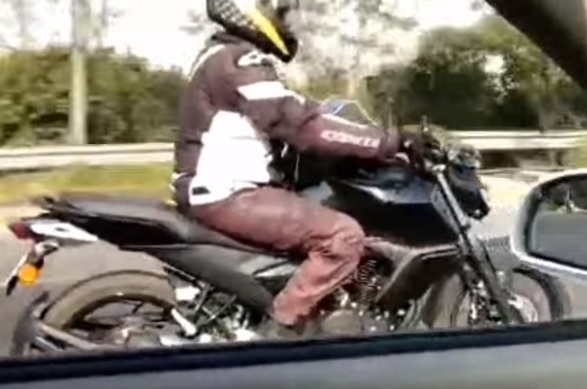 Besides that change, the 2019 Yamaha FZ-S also gets a differently designed fuel tank, which appears to be taller and more muscular than the one on the existing model. Side panels are new and so is a cowl that sits under the engine. The split-seat setup has been replaced with a more comfortable single saddle, which should make the pillion more comfortable compared to the current-gen bike. Earlier spy images have revealed that the exhaust canister has gone through a design change too and to comply with the upcoming change in regulations, the 2019 Yamaha FZ-S will at least get single-channel ABS as standard. Apart from that, we expect a slight bump in power since the current-gen bike happens to be underpowered, in comparison to its competition. We’ll bring you all the updates from the launch event on the 21st and tell you all about it. Until then, stay tuned!